An interview with one of our graduates, Esther Coronel, was published on Page Seven. In her interview, Esther says that the adverse conditions that plague both the economy and the values themselves must be accompanied by new tools that help people understand that there are options, that there are other possible alternatives, for both work and happiness. You can read more about her interview in the following link: paginasiete.bo/inversion/ 2017/5/7/ esther-coronelcierto- dividirriqueza- generarla- 136808.html Esther Coronel completed a PhD with a major in Business, Education and Personal Development Project Management at AIU. July 6, 2017. 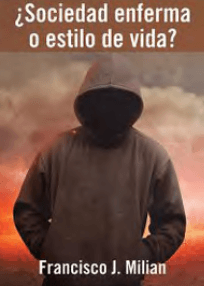 One of our graduates, Francisco J. Milian, wrote the book “¿Sociedad enferma o estilo de vida?” (Sick society, or life style?). This book presents parts of the definitions and components of a society, concepts of identity of citizens, and shows different types of behaviors, traits, and their definitions. 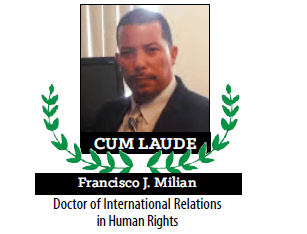 Francisco J. Milian completed a Doctorate program of International Relations with a major in Human Rights at AIU. 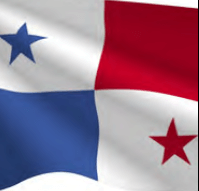 We regret to inform the AIU educational family in the whole world about the death of the husband of the rector Etelvina Medianero of Unac hi in Panama. We want to express our solidarity and affection to the Rector Etelvina Medianero upon hearing of the unfortunate demise of her dear husband, Mr. Moises Enrique Bonagas de Garcia, on May 13, 2017. On behalf of the AIU Academic Council in the United States, of the whole Educational Family of AIU in the whole world, we send you an affectionate hug and our most sincere condolences wishing that henceforth does not know more sorrows but of blessings and joys in company of you dear family. This graduate student completed the majority of the requirements to obtain honors which included a 4.0 GPA, published works, recommendation from his advisor, patent a product, etc. Congratulations! July 12, 2017. One of our graduates, Richmond Acheampong, has published three articles in the International Journal of Management and Scientific Research. Richmond completed a Doctorate program in Journalism at AIU. “...I would like to thank people at AIU who have fully supported my learning. I am very happy to be at this point. 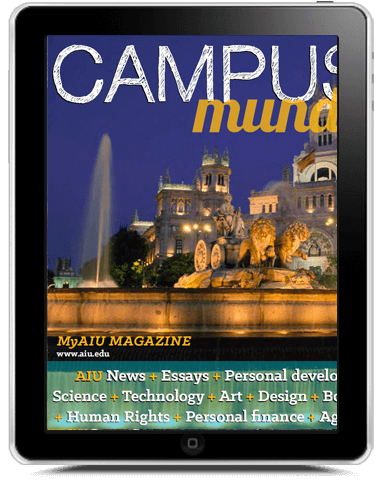 AIU has good systems to manage and control their students, many good resources, procedures and tools, including excellent advisors and tutors who are always ready to assist... I like the philosophy of empowering students with creating their own curriculum and the emphasis on submitting monthly assignments and payments ... The main advantage is the AIU comes to my place instead of me having to go to a university. 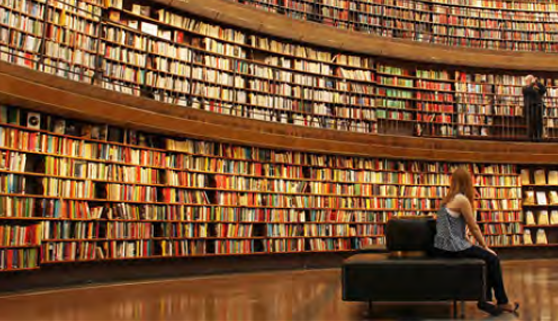 AIU has a huge library system to find our study related materials to successfully complete our educational program. 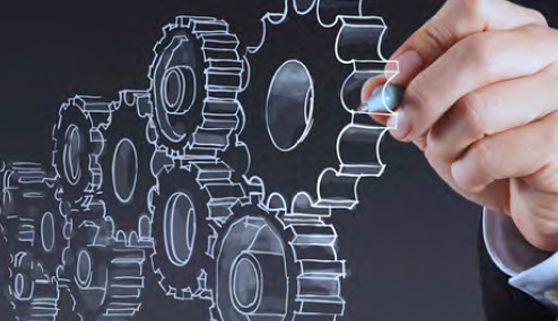 The most important thing is the UnPlag verification tool for assignments. ... AIU is my university, and I look forward to my next degree with AIU. “I have always wanted to do my doctorate and I was exclusively looking for distance learning universities but I came across with universities who are not genuine, who charge more than I can afford, who do not hold a graduation ceremony at the end of many years hard work, who put restriction on your academic achievement such as you have to spend 6 or 7-year minimum to achieve PhD or DBA. For all these reasons, I found it difficult to find a university which fits in to my circumstances and needs but I did not give up hope. ... My over-all experience with AIU is magnificent, each and every one that I came across during my time at AIU was very helpful, polite, and full of information. Without their support I wouldn’t be where I am today. ... I would recommend AIU to any one who wants to full fill their academic dream. “...Leaving university is a bizarre and sad experience and something I’m surely struggling with, but at the same time I’m also undeniably happy because I can’t ignore the overwhelming fact that I was lucky enough to have such an amazing experience. I am sad to say goodbye to the wonderful life I’ve created at university over my four years but I find calmness knowing that I am taking a piece of my university with me wherever I go, in lessons I’ve learned, relationships I’ll keep and memories I’ll cherish forever. So to my university experience, I say ‘I will love you AIU and I will miss you forever’ and that doesn’t feel the least bit out of context because like I said before, leaving university is whole lot similar to ending a three weeks revivals and also because I really really really whole-heartedly mean it. The observation that a staggering 60.5 percent of respondents indicted poor pay for journalists for the prevalence of Brown envelope journalism is sadly, a bad omen for Ghana’s governance and fledgling democracy. The media is regarded as the fourth arm of government. Consequently, if journalists, who are purportedly charged with the responsibility of checking the other arms of government (the executive, legislature and judiciary), are poorly paid, one wonders if they will feel motivated enough to discharge their role in an orderly manner to ensure the sustenance of good governance and democracy. Some may contest better pay is not the only means of motivating workers to perform excellently. But better pay is a very critical component as far as motivation of workers is concerned irrespective of what one thinks. One might also contend the observation may serve a wakeup call for media establishments to pay their journalists well and perhaps importantly, for the Ghana Journalists Association (GJA) that while setting the parameters within which journalists can operate, it is also important that the executives of the association endeavour to make a concerted effort to unionise the association so that it can negotiate for good salaries for its members. This is because paying journalists well may not only help end brown envelope journalism, but also boost the morale of journalists and make them well placed to compete with their counterparts in other professions. Furthermore, the discovery that 74 percent of the respondents admitted to patronising brown envelopes before can be seen as a blessing in disguised because it pays to accept reality than living in denial of it. Now that it has been established that brown envelope journalism is rife in Ghana and killing ‘wholesome journalism’, media owners, desirous of safeguarding the image and reputation of their businesses may be compelled to pay their journalists well to forestall the unexpected. Journalists, who accept brown envelopes usually, find themselves susceptible to unnecessary libel suits because as Kaufman (2010) argued they work in the interests of governments, political personalities, corporations or private persons who desire to restrain what is published about them and are ready to pay for it. Of course libel suits are not pleasant experiences. In most instances, they crush not only the reputations of the journalists, who fell short of the law but also their media organisations. The revelation that 15.5 percent respondents admitting that they get more information on a story when they received Brown envelopes is also a cause for concern. This is because regardless of how significant an event/issue might be to society this category of journalists chooses not to cover it comprehensively unless they are bribed. Their behaviour confirms why trivial issues about rival political parties are usually given extensive coverage at the expense of more important issues such as rural maternal deaths because of the absence health centres or school children studying at under trees while governments’ extravagance remains unabated. For example, when the Supreme Court on July 27, 2016 sentenced the Montie 3 to four months imprisonment for bringing the name of the court into disrepute and scandalising its work, it was bizarre to see that rather tan chronicling the plight of numerous remand prisoners who have been behind bars for years without trial, some journalists probably being bribed, reported extensively on the clarion call for the President to invoke his powers embedded in Article 72 of the 1992 Constitution to pardon the three convicts. In addition, the revelation that 26 percent of respondents said they have not patronised brown envelopes before paints a glimmer of hope. It at least tells that in spite of the por pay of journalists, inadequate resources for them to work with and most media houses not barring their journalists from accepting brown envelopes, some journalists remain truthful to the Ghana Journalists Association’s (GJA) Code of Ethics, which forbids journalists from accepting bribe or any form of inducement to influence the performance of their professional duties. Besides having 81.8 percent respondents said that though they accepted Brown envelopes, they did not ask for it, does not in any way render baseless Kaufman’s (2010) claim that whether the journalists receive cash for coverage as a result of low salaries, greed or other motivations, they work to suit governments, political personalities, corporations or private persons who desire to restrain what is published about them and are ready to pay for it. Moreover, it fails to defeat the argument by Kaufman (2010) that journalists who take money or gifts from their news sources are usually constrained publishing something against them. On the other hand, 76.5 percent of respondents alluding that they report the truth after taking brown envelopes, challenges Kaufman’s (2010) claim that whether the journalists receive cash for coverage because of low salaries, greed or other motivations, they work to suit governments, political personalities, corporations or private persons who desire to restrain what is published about them and are ready to pay for it. It also disputes that journalists who take money or gifts from their news sources are usually constrained something against them. Again, 75 percent of respondents saying that they change the coverage of an event to the advantage or disadvantage of a third party when they received brown envelopes violates ethics of journalism, and resonates completely with the revelation from Spence (2008) that incidence of bribery for news undermine the integrity and impartiality of media reporting, culminating in widespread practice of fictional news, biased news or news for sale. Such precedence might have occasioned some Ghanaians’ inability to see journalists as partners in development and so have tended to be hostile to them, resulting sometimes in chilling attacks on journalists with some of them losing even their lives. The killing of journalists has made some Ghanaians label journalism “an extremely dangerous profession”. This is a blow to the practice of journalism because it discourages potential young talents to pursue the profession, while charlatans enter and perpetuate acts of indecency. What is more, the revelation that 55.5 percent of the respondents said their media houses do not have policies on the acceptance of brown envelopes may explain the reason for brown envelope journalism notoriety in Ghana. If most media houses had policies that set the parameters within which their journalists can operate with regard to acceptance of brown envelopes, one can bet the phenomenon would have been defeated. Yes, because we would have had a scenario of news sources with brown envelopes stuffed with cash, ready to part with, but journalists reluctant to patronise them because their work policies bar them from doing so. Lastly, having 53.5 percent of respondents said brown envelopes affect the practice of journalism and more significantly, 100 percent of respondents wanting the practice to be stopped is a clear manifestation that a battle against brown envelope journalism can be won decisively if it is fought fiercely enough. Interestingly, one would have expected the journalists, who are the direct beneficiaries of the phenomenon to sabotage such move. However, once they have demonstrated their displeasure about the practice and want it ceased, the battle is half won. Though some of the event organizers may try to stay one step ahead, brown envelope journalism will eventually be wiped out from Ghana. The study examined the impact of brown envelope journalism on news coverage in Ghana. It was observed that majority of the respondents attributed the prevalence of brown envelope journalism to poor pay for journalists while minority of the respondents said poor monitoring of journalists by their media houses coupled with inadequate resources for journalists to work with has occasioned the phenomenon. It was also discovered that majority of the respondents said they have patronized brown envelopes before but did not ask for it; only a few of them said they have received brown envelopes before but asked for it. In addition, interestingly and perhaps strangely enough, it was revealed all the 200 journalists denounced brown envelope journalism and vouched for its cessation. Moreover, it was established that a significant number of journalists admitted that brown envelope journalism affect the practice of journalism and majority of respondents said their media establishments do not have policies on the acceptance of brown envelopes. Besides it was found that brown envelope journalism has devastating consequences on the practice of journalism in Ghana as majority of the journalists confessed that they change the coverage of an event to the advantage or disadvantage of a third party when they received brown envelopes. What is more, though an insignificant number, it is worrying: 9.5 percent of respondents admitted that they report falsehood after they received brown envelopes. Based on the study’s findings, all Ghanaians must feel inspired and challenged to help stamp out the despicable phenomenon of brown envelope journalism from Ghana. To stamp out brown envelope journalism from Ghana, media owners must endeavour to pay their journalists well. In addition, further studies to determine media owners’ driving motivation for not paying their journalists well is recommended. Furthermore, news sources that are notorious for stuffing brown envelopes with cash for journalists should be tracked by the National Media Commission (NMC) and sanctioned. Moreover, journalists who patronize brown envelopes should emulate the example of their counterparts, who have chosen to remain truth to the ethics of journalism in spite of their poor pay. Again, people should stop labeling journalism “an extremely dangerous profession” so as to make the journalism profession attractive to young potential talents. Last but not least, the National Labour Commission (NLC) and other relevant authorities should help address the poor pay for journalists. This 21st century brought us all that we have worked for: the continuation of the global economy and the communication society. It seems that in 2017 we would have to say that communication has become strange to us and that what we have is information, no matter if it is true or false, the thing is that we must speak. We are also following with the debt of educational reforms needed by every society in this global village. 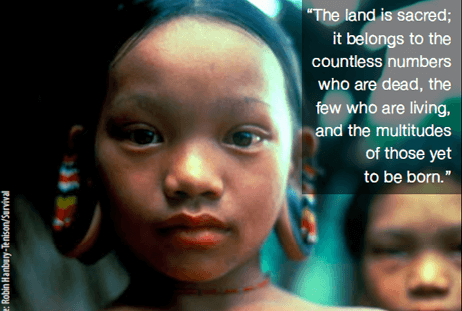 Why do we perceive that we don’t know where the governments of the countries that inhabit this Motherland take us? Following Greeks and Romans, for this western world, we form ways of living together based on the concept of State, structured under the term of participation and the pursuit of well-being for all; we speak of democracy. In order to be able to be this organization of the society the State is divided in the aspects that need attention and they are: the laws, the application of those laws and who initiates the procedures, called Prime Minister or President. These three areas or powers constitute the forms of government of the majority of the countries and they are integrated in their operation independently each one. When the system thus described works in agreements we say that democracy exists. Democracy exists when citizens have freedom to choose their rulers and when they can manifest their disagreements. In a democratic system the rulers seek to serve those who have chosen them and those who don’t in the same way. In societies and nations of world trade, the state must have areas and more areas of specialists to be able to relate to all existing agreements between nations: health, education and trade. In this world trade we were accustomed to that the developed countries are so by the investment in science, in health, in education and in housing, also for its development in technology and for the exercise of democracy. We knew that something that always prevailed was the functioning of institutions that guaranteed democracy: freedom to choose, freedom to disagree and independent functioning of the areas that make up the State. 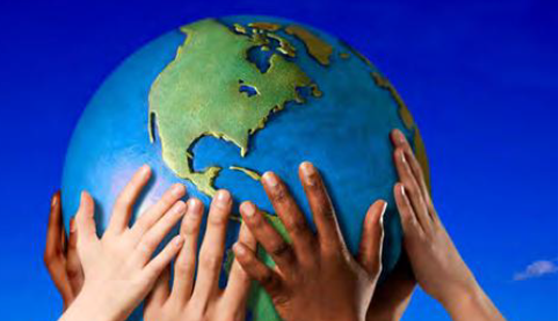 To the surprise of world society we are watching heavily developed countries are falling into populism, which is the government that benefits from the least favored by the world trade society without caring whether it is for the welfare or not of their nations. They use these human groups promising them what can’t be possible to be sure to govern. This is the benefit that certain privileged groups of global trade looking for to maintain their interests without investing in the reforms that globalization or world trade needs. It was known that world trade and the development of highly industrialized countries had a pending aspect: welfare hadn’t reached all and reforms were needed in education, health systems and wealth-sharing. We are seeing that some went ahead of these reforms and moved the neediest, and given that they are more, they used them to create governments that are doing the regression of those economies. The question is: how can an economy that promotes closure to global trade if we are in the society of world trade be sustained? How can an economy that refuses to trade agreements when the big treaties exist and all countries belong to one or another be developed? How can an economy promise job growth by developing coal when we are in green and clean technologies? How will the countries that seek the populism exit continue their development? Global society is moving towards the use of clean technologies, towards green energy sources. How to secure employment with sources that have to disappear? For developed countries investment in clean technologies results in profits because they will sell inputs to implement this form of production. (physicist, Oxford, UK, 1942) related the theory of relativity and quantum mechanics. He wrote History of time: from the big bang to black holes (1988). He also wrote, The Universe is a nutshell (2002). Hawking says that the UK will stay alone and in the case of US and climate change: Earth can become Venus. What are the consequences for many human beings when seeing that the countries considered the model to follow have gone to the opposite pole? The consequence for any human being is sadness. Where to go if everything is becoming what we know the consequences because so is the country where I live? Why study if we walk to the opposite pole? We are beings of emotions and also reasoning and in this case after the feelings we have to reason about the consequences of the union of a developed country and populism. If these countries are closed to free trade their economies will be to produce for their nations. If globalization didn’t bring benefits to a part of the population because of the reforms it needs and if these people don’t approach the development of their skills to work, their nations with less trade, less development of science and technologies will be less able to offer them the well-being that populism governments say. Democratic governments that make the shift to populism are not going to make the reforms that education needs so that the world industry can offer job opportunities for the active members of their societies. What we have to do is seek for us the education, the training we need because the world society continues. In the society we live, we can work online so we can live in one country and work in another. We have to see how we achieve our personal development regardless of about the government that we have. We have to motivate ourselves to learn what the world industry demands to have a job that allows us a decent life. We need to continue to study independently of the government objectives. We have the fortune of digital communication so studying and moving forward depends on our motivation, the way we organize our time. It is time to start developing our skills with the knowledge we need. We are fortunate that today the centers of study or universities can be online. We can’t begin to cry and wait for the governments we have to give us the education we need. We can have an extraordinary university education regardless of the country where we live because we can work in any country if we have the necessary skills. We have to think about our skills and look for the training we need. It is time to leave the sadness and put aside the path that some governments are marking and seek our welfare regardless of our social environment! We can be successful if we wish and we work for it! We were born to be happy. We have to go ahead! BIBLIOGRAPHY. Deaton, A. (2015). El Gran Escape. Salud, riqueza y los orígenes de la desigualdad. México: FCE. | Loza Ramos, I. (2009). Ética y Valores 2. México: Et. | Morin, E. (2007). Introducción a una política del hombre. Buenos Aires: Gedisa. | Naciones Unidas, página oficial. Retrieved from http://www.un.org/es/ index.html | Organización de las Naciones Unidas para la Educación, la Ciencia y la Cultura (UNESCO), página oficial. Retrieved from http://www.unesco.org/new/es | Rawls J. (2012). La Justicia como equidad. Una reformulación. España: Paidós. “In dependence” or being “Independent” has been a main question in many of today’s young people’s minds ever since they reached an age of reasoning (which varies between individuals) to make their own decisions concerning things about and around them. First and foremost, we are children of our parents and citizens of our country at whatever age one may be. Then we are someone else’s property once we get married or are contracted to or employed to work for our living. No one owes us a living but it seems we are always owing someone a living for giving us our lives (by birth) or providing us the basic necessities of life (including food, clothing and shelter), and our needs for life (money, possessions, etc.). Are we in dependence for life then? Can we be independent hence? Being “independent” is relative to being around things, places and people around us and still be able to live comfortably, without fear or support for our thoughts and actions that define us ultimately in the eyes of the world around us. What problems is your Country facing at this moment? Liberia’s problem is the lack of good, sincere, and loyal leadership. Selfishness and greed is fighting the growth and development of our society. Many are not kind and loving to one another. We need quality education, 75% of the country has no electricity, and infrastructural developments are still a major problem. My life is changing ever so much still! Till my heart has had its fill! Making every moment of my life a thrill! Of brotherhood and good will! In doing my post-graduate doctoral degree in education via AIU’s online mode of learning, I am able to do my studies independently, at my own time at a cost that I can afford too, paying on an installment plan that almost no other online university can better. It has given me much freedom to explore my areas of studies and to do more independent research work in order to produce assignments of better quality than I would be able to do in a more institutionalized university setting with much limited time. Learning online with AIU has been a paradigm shift for the better for me as it has made me more conscious of managing my time better and plan for my future in education and learning in general. I am truly grateful to AIU, having an academic faculty which is highly and timely responsive and nonjudgmental, for giving me the opportunity to do my studies in the best way possible, in phases, over a much shorter time than a conventional university in an institutional setting anywhere in the world. 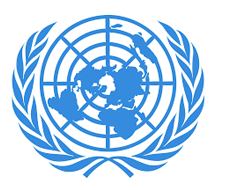 Article 1 of The Universal Declaration of Human Rights of the United Nations, 1942, states: “All human beings are born free and equal in dignity and rights. They are endowed with reason and conscience and should act towards one another in a spirit of brotherhood.” The United States of America (USA), where the United Nations Headquarters is (in Manhattan, New York), has often been referred to as ‘the land of the free’; an independent nation, the world’s second largest democracy after India, where there are many opportunities for individuals to have the freedom to grow and live their lives as they wish within. The sky is the limit for growth in the USA, so it seems. Independence (the main hallmark of democracy) then is a boon and not a bane in a country like the USA where there is much freedom to do and grow almost unhindered in any fields of endeavor and enterprise which are benevolent in nature. The country has been the forerunner of great innovations in science and technology, the movies and the entertainment industry, having given birth to great organizations like Ford Motors, Google, Apple computers, Microsoft etc., just to name a few, and many of the rich and famous personalities of the world like Bill Gates, Warren Buffet, and great leaders like former President Obama all made their mark in History and still do, to make the USA the country to be modeled after, ideally, by all the countries of the free world. Thus, the USA leads by example and shows the world that the symbiotic relationship between Human Rights and Independence thrives in the country. Unfortunately, that has not made us smart. We tend to assume that our intelligence is simply a matter of nature and nurture —but as the celebrated psychologist James Flynn explains to BBC Future, many other factors can stunt or boost your IQ, right down to the person you choose to marry.. As a professor at the University of Otago in New Zealand, Flynn regularly meets bright students with enormous potential, only to find that many of them aren’t engaging with the complex past of the world around them. “They have all these modern skills and yet they come out of university no different than the medieval peasant who is anchored in his own little world,” he tells me mid-way through our conversation. “Well, actually they are anchored in a much bigger world –the world of the present– but with no historical dimension.” The result, he thinks, is that we have overly simplistic views of current issues, leaving us open to manipulation by politicians and the media. We are talking in the living room of his son Victor, who is a mathematician at the University of Oxford, during a flying visit from his home in New Zealand. “I have a second book out this year that says to young people ‘for god’s sake, you are educated, why don’t you read!’” he tells me. When he was young, he says, “girls wouldn’t date you if you hadn’t read the recent novels”. Babies’ brains are wired to learn multiple languages at once. Research shows babies begin to learn language sounds before they’re even born. In the womb, a mother’s voice is one of the most prominent sounds an unborn baby hears. By the time they’re born, newborns can not only tell the difference between their mother’s language and another language, they also show a capability of distinguishing between languages. At birth, the baby brain has an unusual gift: it can tell the difference between all 800 sounds. This means that at this stage, infants can learn any language that they’re exposed to. 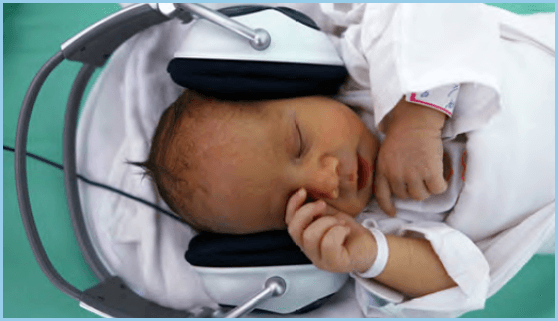 Gradually babies figure out which sounds they are hearing the most. Disease experts reveal their biggest worries. There’s a disturbing reality that’s clear to experts in infectious disease —but the rest of us ignore it on a regular basis. 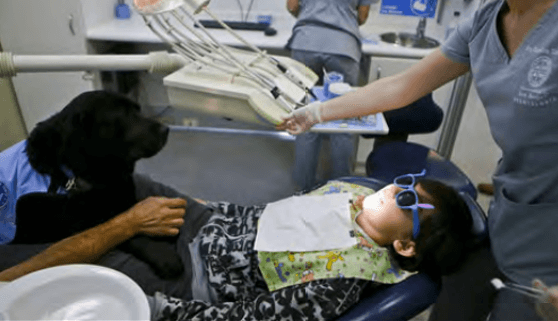 The next pandemic is coming. New diseases are always on the rise. Viruses and bacteria can mutate and become more infectious or deadly (or both), and there’s a constant risk that new illnesses could find ways to jump from their hosts to humans. As Bill Gates wrote in a recent op-ed for Business Insider, a terrorist attack could involve the creation of a particularly contagious and deadly flu strain. Five disease experts recently convened at the American Museum of Natural History (AMNH) to discuss the threat of pandemics. 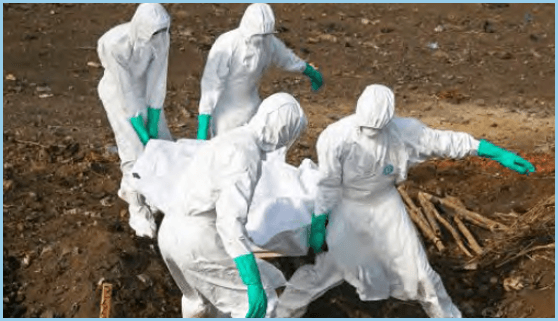 “A pandemic is something that stretches like a colossus around the world; an epidemic that affects many parts of the world,” Tom Frieden, former director of the Centers for Disease Control and Prevention, explained at the event. A service that is being tested in London. London is known for its doubledecker buses, but GATEway, a very different kind of bus, is about to hit the streets of the British capital. A company called Oxbotica has been running tests of a self-driving shuttle service, involving 100 people who volunteered to ride in a small driverless bus. Oxbotica hopes to acclimate people to having autonomous vehicles in their midst, and to gauge how passengers respond to using the robo-bus, boss Graeme Smith told the BBC. The single bus that will be used in the test has a top speed of 10 miles per hour, and operates without any human control under normal conditions. As with most public tests of autonomous vehicles, a human operator will be onboard in case something goes wrong. The vehicle has no steering wheel or pedals, but there is some form of kill switch for said person to hit. The vehicle only seats four people, and will operate along a two-mile route near London’s O2 Arena. Crucially, that route is shared with pedestrians and cyclists, giving Oxbotica a chance to test the bus’ collisionavoidance capabilities. Five cameras and three laser units scan the area around the vehicle, including up to 328 feet ahead. 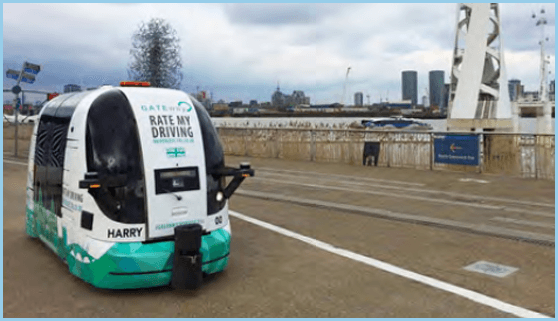 The London test program follows an Oxbotica autonomous-driving demonstration in the UK city of Milton Keynes last year. That test involved small autonomous “pod” cars, which drove on a 0.6-mile loop. Maiko Takeda’s creations evoke both awe and intrigue. She transforms tangible and mundane materials into surreal and ethereal experiences, for the wearer and the surrounding environment. The milliner and accessory designer was born in Tokyo in 1986, and moved to London at the age of 18 to pursue her love for art and design. In 2009 she completed her studies in BA Jewellery Design (Hons) at Central Saint Martins College of Art and Design. Her fascination for creating objects for the head led her to study further in MA Fashion Womenswear (specialism: Millinery) at the city’s Royal College of Art, from which she graduated in 2013. What does it feel like to wear a cloud? This was the question that Takeda set out to answer with her Atmospheric Reentry collection. The range of sculptural, spiny pieces was influenced by the androgyny and repetition in Philip Glass and Robert Wilson’s opera Einstein on the Beach, which she saw in London in 2012. The project first manifested during her post-graduate studies, and continues to be developed through refining the techniques used to produce such unique designs. Every detail of the new metropolis was carefully planned to work perfectly. The architect and his team designed every detail, from the sculptures of the Supreme Court square to the door handles of the offices, and the most important administrative buildings, including the Capitol, the Supreme Court, the Secretariat, Parliament, a Governor’s Palace and a university. Painkiller found in 600 different drugs kills empathy. Acetaminophen —commonly known as Tylenol in the US and paracetamol elsewhere— reduces people’s empathy for the pain of others, new research finds. Acetaminophen is an ingredient in over 600 different medications, including being the main constituent of Tylenol. 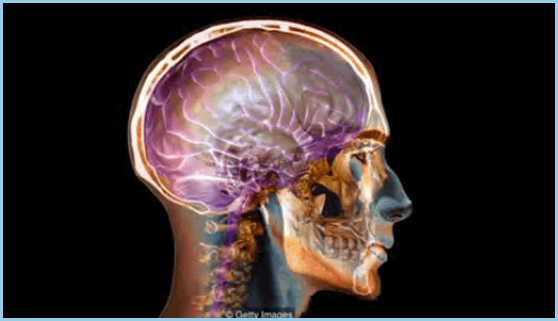 Previous research has also found that the drug can reduce the positive emotions of those taking it. Dr Baldwin Way, a study co-author, said: “We don’t know why acetaminophen is having these effects, but it is concerning. Overnight, very Whitely, discreetly, Very quietly. 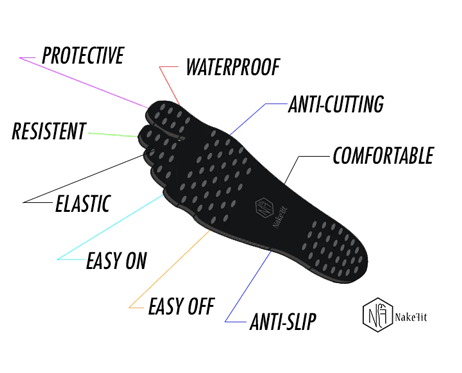 Our toes, our noses Take hold on the loam, Acquire the air. Nobody sees us, Stops us, betrays us; The small grains make room. Soft fists insist on Heaving the needles, The leafy bedding, Even the paving. Our hammers, our rams, Earless and eyeless, Perfectly voiceless, Widen the crannies, Shoulder through holes. We Diet on water, On crumbs of shadow, Bland-mannered, asking Little or nothing. We are shelves, we are Tables, we are meek, We are edible, Nudgers and shovers In spite of ourselves. Smash fear and you can learn anything. 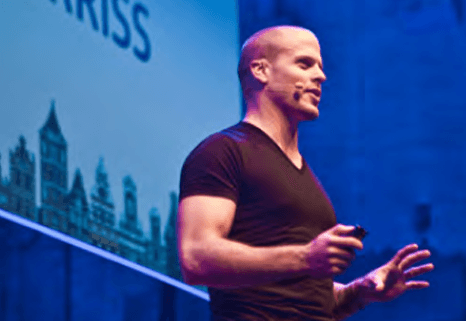 Productivity guru Tim Ferriss’ fun, encouraging anecdotes show how one simple question –“What’s the worst that could happen?”– is all you need to learn to do anything. One excerpt: “... So fear is your friend. Fear is an indicator. Sometimes it shows you what you shouldn’t do. More often than not it shows you exactly what you should do. And the best results that I’ve had in life, the most enjoyable times, have all been from asking a simple question: what’s the worst that can happen? Especially with fears you gained when you were a child. Take the analytical frameworks, the capabilities you have, apply them to old fears. Apply them to very big dreams. And when I think of what I fear now, it’s very simple. A community-led proposal envisions converting the abandoned space beneath Berlin’s elevated U1 subway line into a “grand boulevard for bike traffic” that would stretch almost 6 miles throughout the city. The proposal, Radbahn Berlin, is led by a team of local specialists and community leaders who would like to put the forgotten area to use as a covered bike path lined with vibrant green spaces, bike service stations, and recreational areas for cafes and food trucks. Although still in the early stages, the Radbahn vision is supported by many –especially those who think the city is lacking in bike infrastructure. 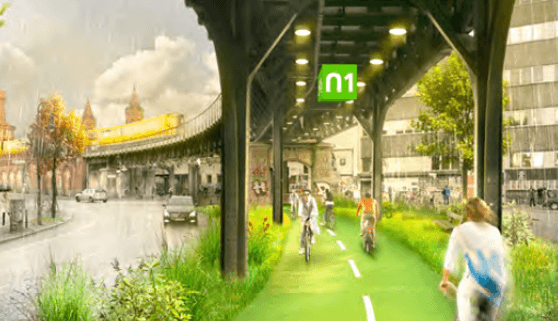 The proposed cycle path would run underneath the elevated rail line, which stretches along one of Berlin’s main roads connecting three districts and various neighborhoods. According to the plan, the location would be perfect for a bike boulevard considering that the area around the station is already rife with cyclists. However, the current bike path in the area is fairly short and split in various areas by protruding tree roots. For local bicyclists, the obvious solution would be to install a better path under the rail line, creating a safe route for bike traffic without having to disturb car traffic. There would be more than enough space for a two-way path bordered by swaths of green vegetation. Climate change is shifting the forests of America in an unexpected direction. All over the world, global warming is causing ecosystems to move away from the equator or to higher altitudes, in search of favorable climatic conditions. However, in the eastern US, even more tree species have shifted westward than north. Dr Songlin Fei of Purdue University examined an extensive database on the locations of 86 species over the past 30 years. Of these, 62% were found to be moving north, averaging around 20 km (12 miles) a decade. This entirely expected shift was overshadowed by a more surprising one. In the same sample, 73% were moving west, at slightly faster rates, with most change happening at the leading edge. There were patterns to the movements. 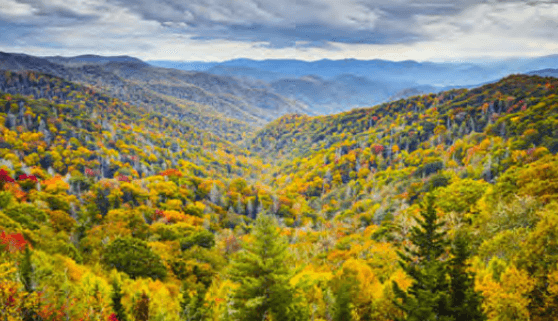 “Most angiosperms [flowering plants] shifted westward and most gymnosperms [non-flowering seed producers] shifted poleward,” Fei and co-authors write in Science Advances. As expected, the changes were more noticeable for saplings than established trees. The movement appears to be driven by changes in rainfall. Over the period the paper considers, temperatures in the eastern US rose 0.16oC (0.29oF), but there have also been big shifts in rainfall, with an increase of more than 150 millimeters (6 inches) per year in the central US, and a major drop in much of the south-east. The sculpture of a coyote will help migrants with water, a map, a list of shelters and more. “This is a coyote that’s there to give, not take away. It’s a way to extend a hand to a migrant who gets off the train confused, who doesn’t know where to go,” Alfredo “Libre” Gutierrez, a native of the northwestern border city of Tijuana, said in a telephone interview with EFE. Gutierrez has been making drawings of coyotes in several areas of the country as a show of solidarity with undocumented migrants, but he came up with the idea for the sculpture a year ago when he began working with these people at a shelter in Mexico City. The sculpture, located at the Lecheria train station in the central state of Mexico, is made of recycled wood, stands 2.6 meters (8.5 feet) tall, contains a map of Mexico on its left side and a list of the 85 migrant shelters in 21 Mexican states with their addresses and telephone numbers on its right side. The goal of this work of art is to let migrants know that they are not alone and that someone is concerned about their plight. The coyote’s tail also offers a space for people to leave water or medicine. 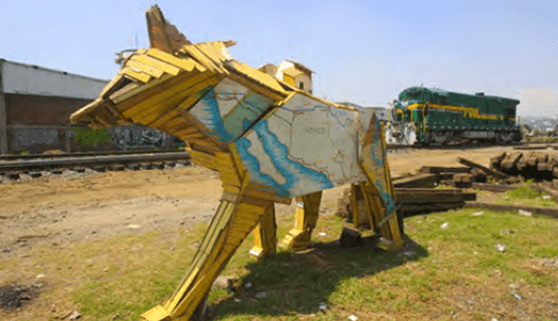 The artist said he planned to made several of the sculptures and place them near stations where a northbound cargo train known as “La Bestia” (The beast) stops. 1: Tracking carefully your income and expenses. 2: Spending less than you earn every month. Don’t think this is obvious. 3: Keeping a budget... and faithfully following it. Because, if you don’t have the discipline, why bother? 4: Keeping the money in your wallet to a minimum. This way you won’t be tempted to spend it. 5: Never buying anything on impulse. To help prevent this, make a shopping list and then stick to it. 6: Ignoring the temptation to keep up with the Joneses. 7: Avoiding the use of payday loans to cover temporary financial shortfalls. 8: Leveraging “good debt” to purchase things that have the possibility of increasing in value, or providing a path to a higher income in the future. 9: Avoiding interest payments whenever possible. 10: Using your credit card to buy things only if you can pay it off in full at the end of each month. 11: Reviewing your credit card statements for errors and erroneous charges. 12: Refusing to pay the minimum on your credit card bills each month. Making minimum payments each month will ensure you pay the maximum interest. 13: Paying the bills on time. By doing so you’ll avoid spending money on needless late fees. 14: Remembering to comparison shop whenever possible. 15: Negotiating whenever the opportunity presents itself. 16: Reading all contracts before signing on the dotted line. 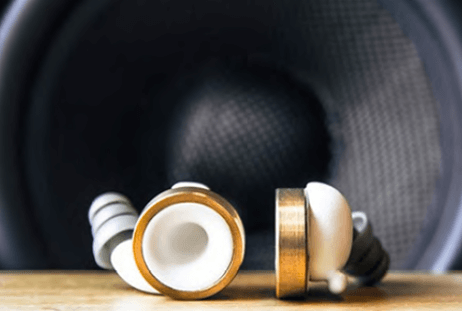 17: Taking advantage of coupons and internet promotional codes as often as possible. 18: Maintaining an emergency fund. Everyone should have between three and six months of living expenses in the bank. Remember to resist the urge to tap your emergency fund for non-emergencies. 19: Setting clear and achievable saving goals, then regularly reviewing and updating them. 20: Saving part of your income for retirement. Try saving at least 10 percent from every paycheck; it’s never too late to start. 21: Buying a new car —or better yet, a newer used car— and keeping it for at least ten years. Buying new cars is costly because they can lose upwards of half their value by the time they are three years old. 22: Never overpaying for insurance. For example, why pay the higher auto insurance premiums for low deductibles if you rarely make claims? 23: Properly maintaining your car. By following your car’s maintenance schedule and paying a little up front, you’ll reduce the risk of encountering more costly major issues down the road. 24: Avoiding cigarettes. This expensive habit is one of the Four Horsemen of personal finance. 25: Treating your household like a business. By taking an active role in managing your finances —and looking at ways to maximize your income— you’ll ensure a brighter financial future for you and your family. 26: Never hoping for an inheritance –or winning the lottery– to solve your money problems. 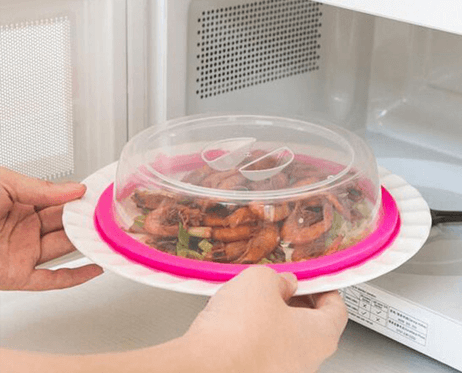 Glass microwave lid that doubles as a baking dish, too. Made of borosilicate glass, it doesn’t hold on to odors, stains, or bacteria. It can handle temps up to 450 degrees By Cuchina Safe. Despite being an exceptionally prolific and hard-working painter, Kandinsky knew the importance of taking breaks from work. The act of stepping back from any project allows you to see it with a clear perspective and to conclude it with better results. It’s a lesson that could easily be applied to any area of life. The Bachelor of Agrictultural Economics degree unites economic analysis with the practical aspects of agriculture. The program is intended to specialize students for careers in research, teaching, analysis, business administration and similar fields of agricultural economics. We will guide you to be successful in the field and to raise awareness of the social and environmental responsibilities of agriculture. 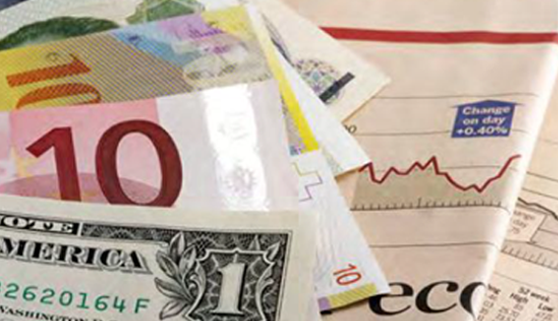 The Agrictultural Economics program is designed to advance the professional development of experienced economics graduates and professionals in the economics arena by extending their knowledge and equipping them with broad research and process economics skills, enabling them to make a key leadership contribution to their chosen fields. AIU’s Bachelor’s degree in Agrictultural Economics goes one step further by allowing students to study and research multiple key areas of computer science to develop a unique foundation of practical knowledge and computer science theory. Your AIU Distance Learning Bachelor program in Agrictultural Economics will be a custom-made program, designed just for you by you and your advisor. This flexibility to meet your needs is seldom found in other distance learning programs. Our program does not require every student to study the same subjects and use the same books and other learning materials as every other student. Instead our online Bachelor programs are designed just for you. They are individually designed to meet your needs and help you to reach your professional and personal goals.